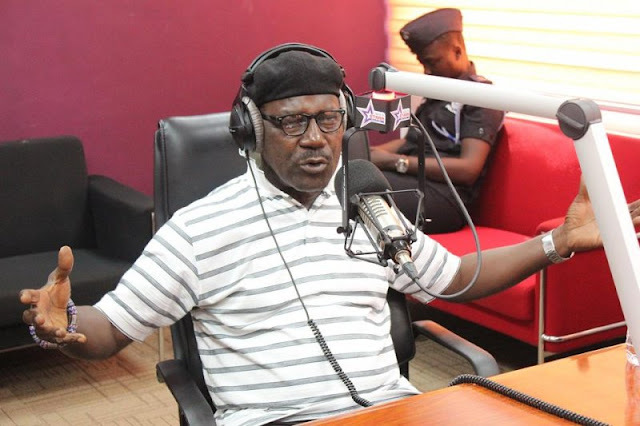 Veteran Ghanaian musician and song writer Gyedu Blay Ambolley has said the 10 commandment does not say: ‘Do not smoke’, and, so, he agrees with proposals that marijuana should be legalised in Ghana. According to him, the abuse of marijuana is the problem, but it can “enlighten” people to become more “conscious” of the dos and don'ts of life. “Marijuana is a God made thing. It grows like any other leaf that grows and every leaf that grows has something that it offers to a human. So, for a white man to come and tell me that: ‘If you do this you will go crazy, put a stop to it, send it to the police and all that,’ there is a reason why they did that. Because they know that you will become more conscious of the dos and don'ts of life and they don’t want that”, he said on the Class Drive on Class 91.3fm Wednesday, May 18. The self-acclaimed rap originator told host Prince Benjamin: “There is a big enlightenment that comes from smoking marijuana… because everything has its relevance, [but] too much of everything though is bad, so, please when you cut your coat, cut it according to your size”. Asked if marijuana should be legalised, Ambolley said: “For the legalisation of that, I think they need to, because when you go to Holland it is legalised. If you want to buy you go to the store and buy it. There is no police chasing anybody...but eventually it is going to be legalised because the Americans are legalising it [after] all that they said, they have started making money out of it, taxes and all that, likewise in Holland, so, for me, it is something that I tasted when I was about 17 years and it did not do anything bad to me”. “Like I said, too much of everything is bad, so, you just make sure that musically or composition wise, you just take a little bit and the ideas start coming, so, the abuse of that is where the problem is”. “The only thing that is there that I know is that when we were growing up they gave us the 10 commandments. The 10 commandments said do not steal, do not bare false witness, do not kill, but it did not say do not smoke. Whereas it is not in the 10 commandment...and if I do that to hurt somebody then that is where the problem is going to come”, he added. Ambolley’s stance on marijuana follows a recent call by former UN Secretary General for the legalisation of the herb. Mr Annan said cannabis should be legalised, but regulations should be put in place that put lives and safety first. He argued that initial trends show that where cannabis has been legalised, there has been no explosion in drug use or drug-related crime. 2016 VGMA Artiste of the year, EL made similar remarks on the Class Drive months back. He also said marijuana should be legalised because he saw nothing wrong with it.